Siwa Temple is the main temple and a larger size than the other temples. The location of the Shiva temple is located on the first page and flanked by temples Whisnu and Brahma temple. Temple itself measures 17 x 17 m base and stands on a soubasement measuring 34 x 34 m, the overall height of the temple is 47 m, which stands on a foundation. The building is divided into 3 parts in a vertical leg, body and head / roof, the base of the temple depict "underworld" where humans are filled with lust, the temple depict the "world center" where people who have left the world and the roof depicts "the world" place of the gods. Enshrinement Prambanan is a replica of the mountain was proved by the existence of god statues carved Lokapala Shiva temple on foot. Four entrances to the temple according to the four cardinal directions. The main door faces east with the largest entry stairs. 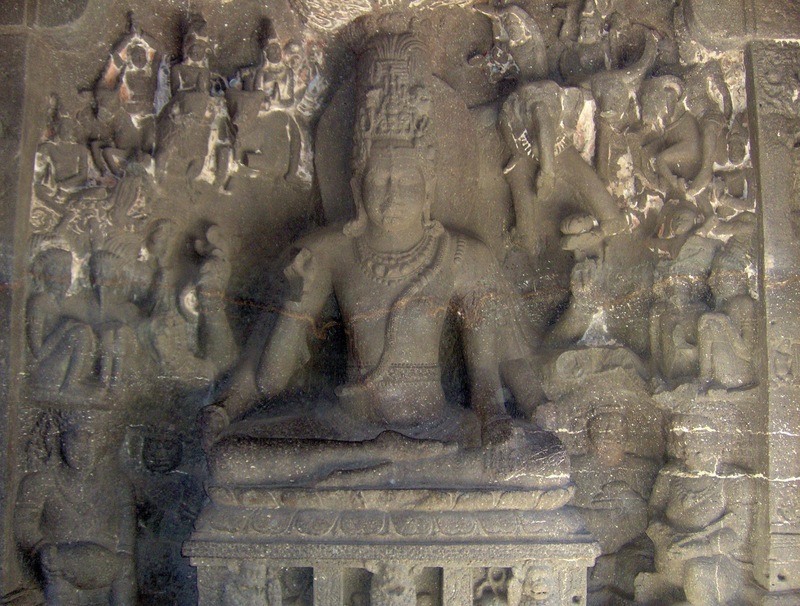 On either side stand two giant statues guard with a double which is a manifestation of Shiva. Inside the temple there are four rooms overlooking the four directions of the wind and the largest room available around the middle. Basic foot of the temple is overcome by walkways surrounded by the balustrade. On the wall next to the ledge there is a story of Ramayana reliefs that can be followed by "pradaksina '(running clockwise) starting from the main door. The ornaments on the outer wall of the form "-Kinari Kinari" (bird-headed human bodied creatures), "kalamakara" (the head of a giant pair of tongue shape mythology) and the heavenly beings lainnya.Atap terraced temple with a very complex composition of each each with a "jewel" and the peak there is a "jewel" the greatest. Shiva temple called because inside there are statues of Shiva Mahadeva with a beautiful dress and comes complete with all its attributes, namely aksamala, camara, is in the hands behind him, while in front of her hand, right hand from the elbow folded into the front of the chest, and in a state of disrepair, as well as the left hand is folded into the front of the stomach, also in a damaged condition, the skull and the crescent ornaments worn on the head and a snake as upawita. Niche of the south side there is a statue of Lord Guru (Agastya), which is depicted standing on Padmasana. Of Lord Guru is described as a pastor who has a thick beard and paunchy. Her right arm folded over his chest and his left hand holding the jug Kamandalu. On the right hand side there is a trident-shaped spear-tipped. Trident spear is depicted in a standing position, it looks like plugged into a spear point. Dipundak left there camara. The back of the statue there is an oval-shaped prabhamandala unadorned. Niches on the west side there is a statue Ganeca, this elephant-headed god who is the son of Lord Shiva. This statue is depicted having four hands. The rear right hand to bring the rosary (aksamala) and the left holding a small ax. Held the cup-shaped skull and broken left hand front of ivory held in the right hand depan.Ujung proboscis inserted into the cup which illustrates that he never took a science content. Ganesha is a symbol of wisdom and knowledge and science, penghalau all difficulties. In the skull there mahkotannya and crescent as a sign that he is son of Shiva wear head ornaments composed makuta guns. His ears were described broad enough, use the form upawita ukar, and chest belt like a strand of pearls. His stomach was distended. Is seen sitting cross-legged Ganeca with his feet facing. In the recesses of the north side there is a statue of Durga Mahesasuramardini. In local folklore statue is known as the statue of Lara Jonggrang. The statue depicted standing on the back of a buffalo by its tail is pulled by one of his hands. 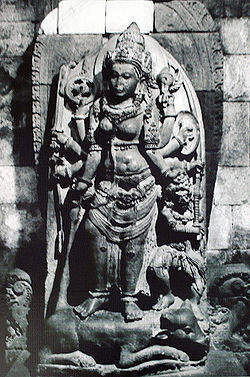 This Durga has eight hands. Right hand holding a flaming disc, kadga (short sword), arrow (sara) and leading buffaloes whereon interesting. 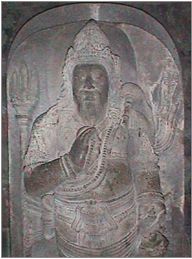 His left hand holds a winged Sangkha, shield (khetaka), bows and hair pulling asura who stood beside his left. Ox whereon the goddess Durga in the crouch position to the left and the head of the buffalo trampled by asura who holds a mace. Asura is depicted with curly hair, bulging eyes and mouth half open. Durga appears wearing fancy clothes wear head ornaments Jatamakuta with flowers, on the basis of form jamangnya wide and thick. Simbarnya wearing a rosette decoration. On the inside there is relief that tells the story of Ramayana. In the story, Rama is the reincarnation of Lord Vishnu. Shinta is the wife of Rama and Lakshman is the younger brother of Rama, they both went into the woods. Many events that occur during their trip to the woods. Shinta was abducted by Ravana, an evil giant and was rushed to the kingdom of Ravana in Alengka. Rama enlisted the help of Hanuman, the king of the Kingdom of Apes. Soldiers of the Empire led by Rama's monkey moves to Alengka. Part of this story, until the troops of monkeys make a bridge that connects to the Kingdom of Alengka.